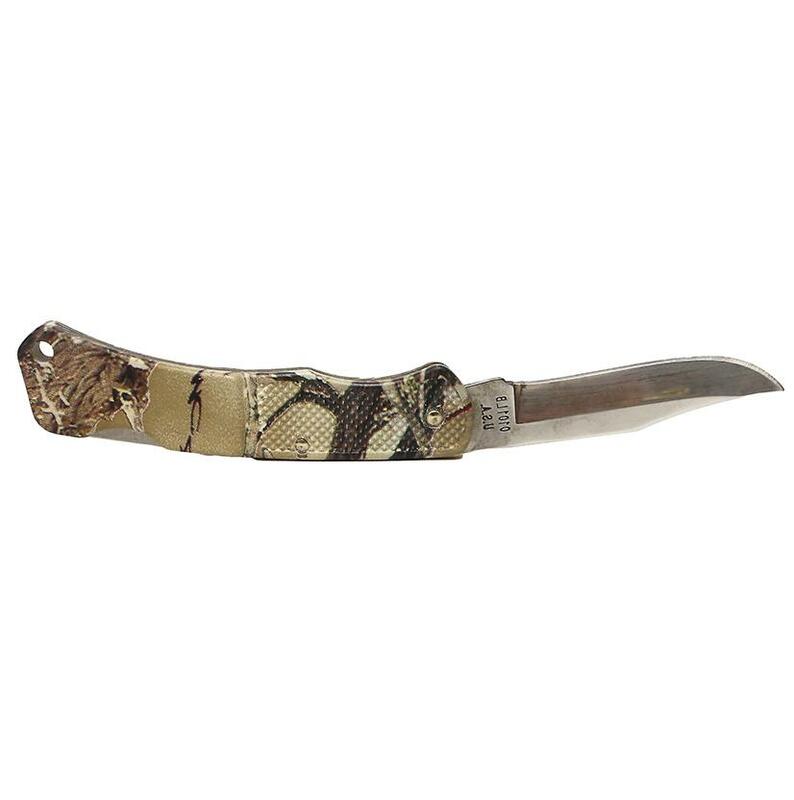 This Every day carry pocket knife is 3 ¾ inches closed and has a camo zytel handle. 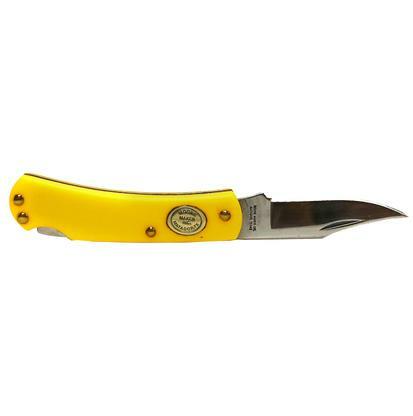 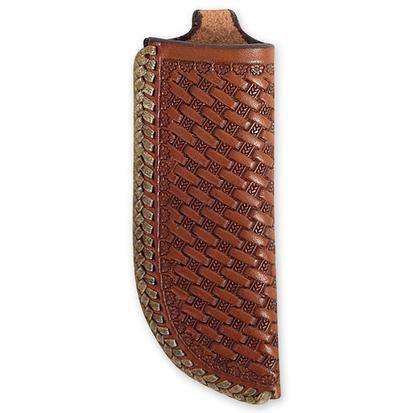 The blade is 2 ¾ inches when open and made of 1095 HC steel hardened to 56+/- 1 Rockwell. 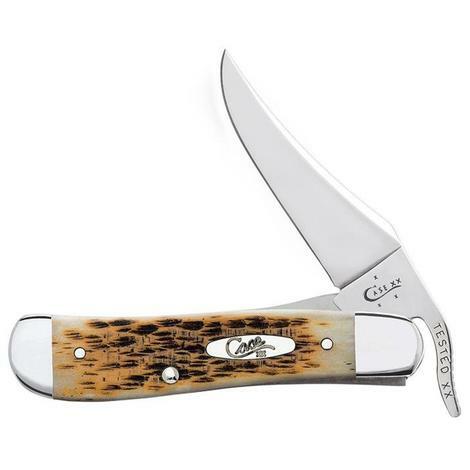 This pocket knife has a lock back design and is American made.